Smith Publicity has worked with over 3,000 authors since it was founded in 1997. 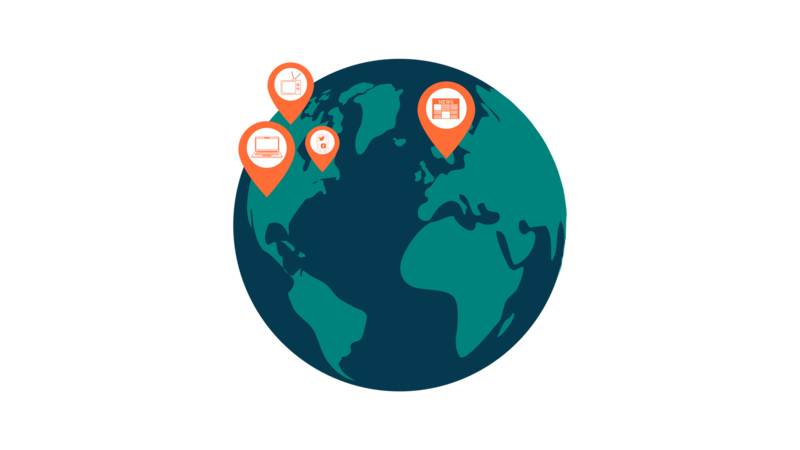 The firm has effectively worked with clients throughout North America, and countries from the U.K. and Australia to Israel and Malta. Recently celebrating its 20th anniversary, Smith Publicity thrives at getting its clients maximum exposure for their work. To keep up its proven success and stay ahead with its global client base, the firm turned to the Cision Communications Cloud™ to streamline its media relations efforts without sacrificing quality service. 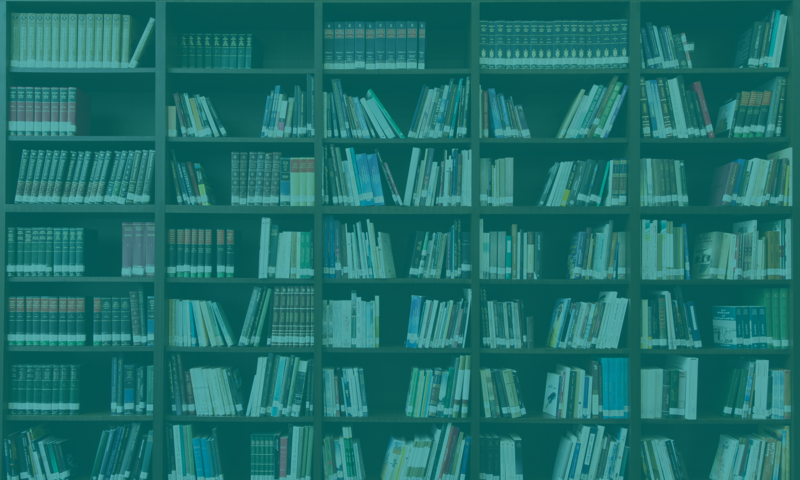 Smith Publicity has a strong global client base which includes many authors who fall into a niche genre, where more specialized research is required. “We need the ability to conduct solid media research and know granular details regarding outlets, editorial staff and media producers,” said Mike Onorato, Executive Director of Publicity, SMITH PUBLICITY, INC. Going global also means building strong, long-distance relationships with international media. “Publicity is all about relationships, but it’s impossible to know every media outlet, especially when online and global outlets are taken into account,” said Onorato. 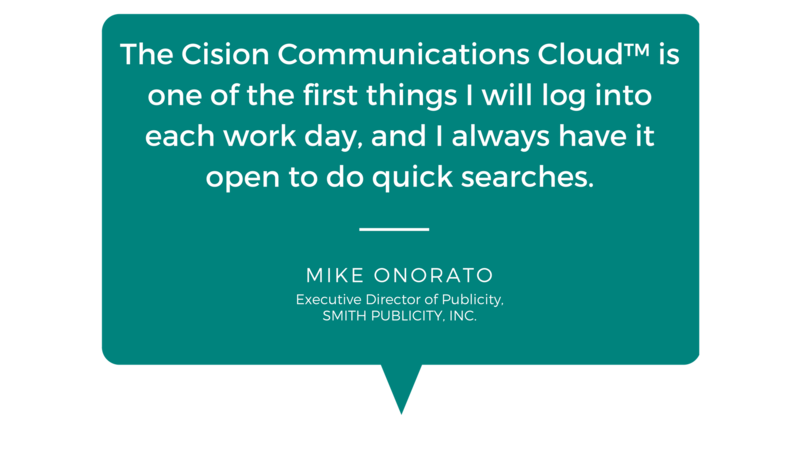 Smith Publicity uses Cision Comms Cloud, a platform that includes a global media database, management calendar, influencer recommendations and more. Its extensive search criteria and filters accelerate the list building process, accounting for authors who write about niche topics. The firm takes advantage of editorial opportunities within the platform to reach out to outlets at the right time with relevant client stories. One of Smith Publicity’s key clients, a nature pocketbook guide company, needed to reach media in a very niche market. “Using very specialized keywords, we were able to glean contacts that we would’ve never considered before. The client was very impressed,” said Onorato. Accelerated Media Planning: With multiple clients with diverse needs, having the ability to track and stay organized in-platform has been important. “Being able to place saved searches and media lists into folders has prevented us from bombarding clients and disrupting the pitching process,” said Onorato. Receiving updates in the real-time has saved the firm a lot of time that was previously spent keeping tabs on key contacts. “We don’t always pitch the same contacts, so they may move and we won’t know about it,” said Onorato. 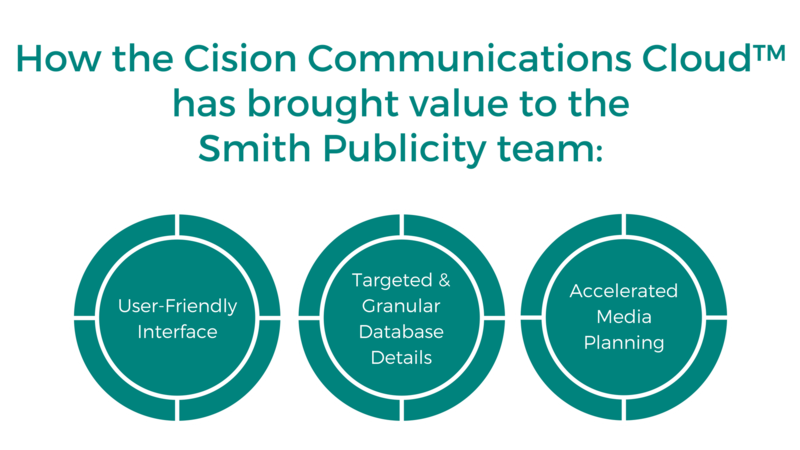 Smith Publicity will keep finding ways to stay organized within the Cision Comms Cloud. “Our staff work across multiple offices in North America, so we need to take more advantage of the ‘Notes’ function within the platform to help us share information we gather on specific media contacts,” said Onorato. The firm will also look more into the monitoring functions and features in-platform.